Most States have varying degrees of stringency when it comes to notification compliance. There are different compliance notification features and options available to you as a business owner. Many businesses, and most call centers, in the USA record their customer calls. Some record calls for quality assurance purposes. Others monitor calls to ensure that processes and procedures are followed. And some just want a permanent record of a call. Call recording and monitoring is an incredibly powerful tool that can quickly boost quality and enhance performance. The problem with call recording is that few business owners realize that callers must be notified that their calls are being recorded. Notifying callers is the law of the land at both a Federal and State level. If you record calls and do not have a compliance notification program in place, you are at huge risk of direct legal action. Failure to comply with current Federal and State regulations is taken seriously and it is enforced at many levels. A spate of lawsuits has sprung most recently from the State of California. These actions are based on a little-known provision of the California Penal Code involving calls made to or from customers who are using mobile telephone devices. Statutory civil penalties can be steep – up to $5,000 per occurrence for any violation of the statutes. We were recently made aware of an incident that occurred like this: A call was made into a business. The person answering the phone was asked if the call was being recorded. When it was confirmed that the call was recorded the caller said, “thank you” and hung up. Then, a few weeks later, the business owner was served with a notice that they were being sued for at least $2,500 per occurrence. It happened just that quickly. Unfortunately, there is no uniformity in the way that individual States handle call recording notification compliance. Most States enforce their own version of compliance. Not only are the statutes different but the methodologies required to enforce compliance vary greatly. On top of this, the Federal regulations are different from the State requirements. These are difficult waters to navigate. A small business owner who makes and receives calls within an individual State that does not require 2-party notification may not feel as concerned with stringent compliance notification as does a company that does business in multiple States or specifically in the State of California. However, these statutes are changing rapidly and if the owner is not paying attention, their State may update its compliance requirements and that business owner would become immediately liable. California has a high likelihood of becoming only the first of many States ready to bring call recording notification compliance lawsuits to businesses on a nationwide level. Any call centers that record or monitor customer calls for businesses in this State should take every precaution possible to ensure that proper permission is gained and acknowledged. In simplest terms, business owners ought to make it standard procedure to notify all callers at all times whenever they record calls no matter what. This is the strictest interpretation of the law. One company that has tackled the compliance notification issue head on is Sound Telecom, located in Seattle, Washington. Sound Telecom is a business process outsourcer that provides call center services to businesses on a nationwide basis. “Any business owner who records calls for reasons as simple as quality assurance is at risk,” states Michael LaBaw, Sound Telecom’s president and founder. “Fines of $5,000 per recording violation can quickly put an operation out of business. That is why we, as an outsourcer, have a well-developed notification program that adheres to the strictest interpretation of both Federal and State requirements for all 50 States.” Every State handles notification compliance in a slightly different manner. Sound Telecom’s advice is that if you are going to record calls, be sure you notify both the caller and the recipient that call recording is enabled. And be 100% sure that such notification becomes a permanent part of the recorded call record. However, businesses do not have to record their calls. If you don’t record calls you avoid this issue entirely. 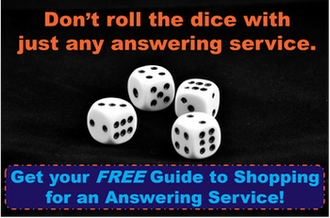 Other businesses may choose to have their calls answered by third party BPOs and call centers. But doing this does not relieve them of the responsibility to ensure call recording notification compliance. Owners must talk to their call center providers and make sure that they are complying with the law if they are providing call recording as a service. Outsourcers must not only want to protect their own business, but the businesses of their customers, as well. Call recording notification compliance is a real issue and it must be addressed. Call center software and equipment manufacturers must ensure that their products and services can keep their customers fully compliant no matter where they do business. Is it too far-fetched to think that these compliance lawsuits will eventually target the equipment manufacturers themselves? If you are recording your customer calls and you are not aware of the laws of your State, you are putting yourself at unnecessary risk. Take the time today to protect yourself and your business.